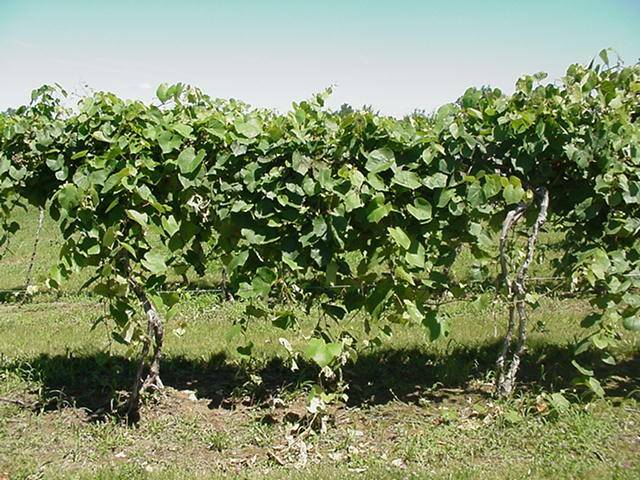 Vines should be pruned once their leaves have fallen and the plants are dormant – if you prune them during the growing season then they will ‘bleed’ or loose sap when they are cut. This is the advice from the Royal Horticultural Society on how to go about it. 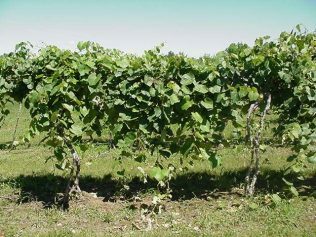 The main pruning time is early winter (late November or December). Training and pinching out of new shoots, as well as thinning of fruits, is carried out in spring and summer. If you are establishing a new grape vine, set up a support system. Plant the vines during the dormant season from late autumn until late spring (October-March) .Leave 15cm (6in) between the vine and the wall or side of the glasshouse. Allow the main stem to continue growing.